In a medium-size mixing bowl sift together all-purpose flour, baking soda, cinnamon and salt, and put it aside. In another large mixing bowl put all wet ingredients together (melted butter, brown sugar, granulated sugar, vanilla extract and a large egg). Mix it again. Add dry ingredients to the mixture in two steps and mix it well until it is smooth. Add rolled oats and mix it using a spatula. 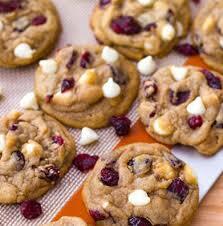 Add cranberries and white chocolate chips and mix again. 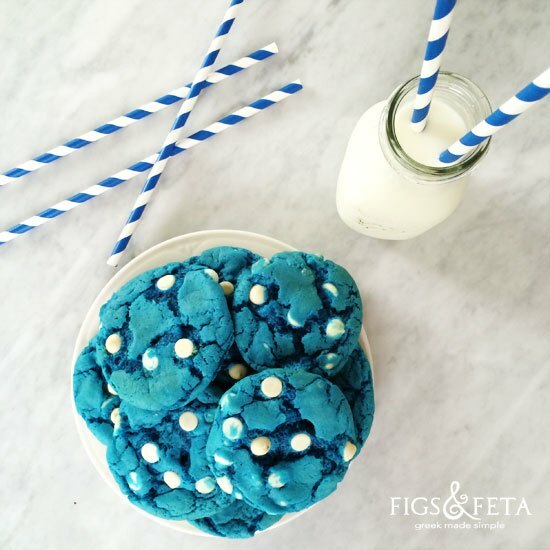 Cover the dough with plastic wrap and place it in refrigerator for an hour. When the dough is ready, preheat the oven to 350°F and line a baking sheet with parchment paper or silicone baking mat. Using a 1 1/2 tablespoon ice cream scoop or a regular spoon, scoop the dough and roll it into balls. Place it on a baking sheet with parchment pepper. Bake the cookies for about 10-12 minutes until it gets beautiful lightly golden color outside. Make sure you don’t over bake them, so they won’t be dry inside.